Veteran steelheaders tell us the one skill that separates the top rods from the wannabes is the ability to feel the subtle pick-up of a steelhead. Learning the elusive difference between a pick-up and a rock is vital, but difficult. With floats the angler immediately sees that a fish is mouthing their bait. Even the novice will be able to detect most pick-ups. Strikes are signaled in one of two ways. The most obvious strike indicator is the sudden sinking of the float. 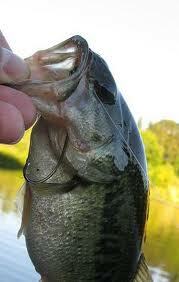 If you have properly adjusted the distance from your float to the lure, only a fish can cause it to sink. STRIKE!!! Sometimes a steelhead will pick up the bait and drift downstream with it. This may not cause your float to sink, but it will make it pop up and float unnaturally high. Any time you see the float come up or begin moving upstream or sideways, that’s a fish. STRIKE!!! Occasionally you will see your float go under and pop back up before your brain tells your hand to strike. No problem. If you miss a strike take note of where your float was when it went under The float tells you exactly where the fish was when it struck. Another cast placed twenty feet upstream and directly in line with the last strike will often get you an instant rematch. The float’s natural presentation will usually not spook a fish. Many times you can get a second strike. This time pay attention!